Bishop Hermann represents the Archbishop in overseeing the parishes in five deaneries: Northeast St. Louis County, Northwest St. Louis County, Festus, St. Charles County and Washington. His responsibilities also include Catholic education, stewardship and development, and several other agencies and ministries. For more than four decades, Bishop Hermann has connected with parishioners as a Pastor. That cherished connection continues today. As an Auxiliary Bishop, he shares in the Archbishop’s responsibility of teaching, sanctifying and governing the faithful of the Archdiocese. As a bishop, he has the power to ordain candidates for the presbyterate and for the Diaconate. You may learn more about Bishop Herman at the Archidocese of St. Louis. Fr. Joseph Classen is a native of historic St. Charles Missouri. He holds a BA in Philosophy from St. Louis University and a Masters of Divinity from Kenrick-Glennon Theological Seminary. Fr. 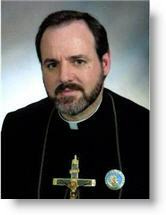 Classen was ordained to the priesthood in 2003 for the Archdiocese of St. Louis and is currently the associate pastor of St. Margaret Mary Alacoque. Along with his priestly ministry, Fr. Classen is an accomplished outdoorsman and the author of several books on subjects including the Catholic faith, Christian spirituality, and the outdoors. Fr. Classen is also a radio host and has appeared on numerous other programs around the country. You may learn more about Fr. Joe at http://www.HuntingForGod.com. 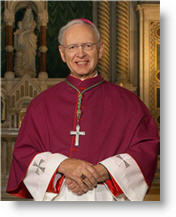 Father Bill Casey is a native of Philadelphia, Pennsylvania and a 1979 graduate of Temple University. After graduating from college, he served as an officer in the U.S. Army. Upon leaving the Army, he entered the Congregation of the Fathers of Mercy. He studied Philosophy at Christendom College and Theology at Holy Apostles Seminary and was ordained to the priesthood in 1991. In 1997, Fr. Casey was elected the Superior General of the Congregation. Father attributes his call to the priesthood to the Mercy of God, his love for the study of Sacred Scripture, and his strong devotion to the Sacred Heart of Jesus and the Immaculate Heart of Mary. 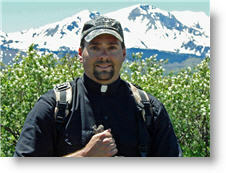 Father Casey is a nationally renowned speaker and a frequent guest on EWTN. You may learn more about Fr. William Casey at http://www.fathersofmercy.com. Patrick Madrid is the publisher of Envoy, a journal of contemporary Catholic thought, and he is director of the Envoy Institute of Belmont Abbey College. Since the journal's inception in 1996, the team at Envoy has garnered numerous journalism awards, including several first-place awards in the magazine-of-the-year “General Excellence” category from the Catholic Press Association. Patrick is the author or editor of 14 books and booklets on Catholic themes including, Pope Fiction, Search and Rescue, Does the Bible Really Say That?, and 150 Bible Verses Every Catholic Should Know. He edited and co-authored the acclaimed multi-volume Surprised by Truth series (over 500,000 combined copies in print in English and Spanish). He has published numerous popular articles on Scripture, Church history, patristics, apologetics, and evangelization in various Catholic and Protestant periodicals, and he has contributed scholarly articles on apologetics in the New Catholic Encyclopedia. 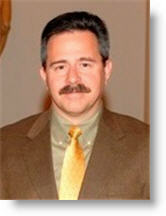 You may learn more about Patrick Madrid at http://www.patrickmadrid.com/. A priest of the Archdiocese of St. Louis, Father Morris has served at several parishes in St. Louis and was a full time teacher at St. Mary’s High School. In 1999 Father Morris was invited to pursue further studies at the Pontifical Athenaeum of St. Anselm in Rome. He completed a licentiate in Sacramental Theology in 2001 and returned to St. Louis to begin work at Kenrick Glennon Seminary. He spent two years as the associate director of Cardinal Glennon College and five years as director of worship at Kenrick-Glennon while teaching sacramental/liturgical theology at Kenrick Glennon. Fr. Morris was then designated Episcopal Vicar for and Director of the Office of the Permanent Diaconate of the Archdiocese, Director of the St. Maximilian Kolbe House of Discernment and assistant professor of theology at Kenrick Glennon Seminary. In 2009, Fr. Morris was made a Monsignor, and in June was assigned as pastor to Saint Mary Magdalene parish in south Saint Louis. Stand firm in faith; be courageous, be strong.